Services Advisor is a web app that connects refugees to the humanitarian services they need most. 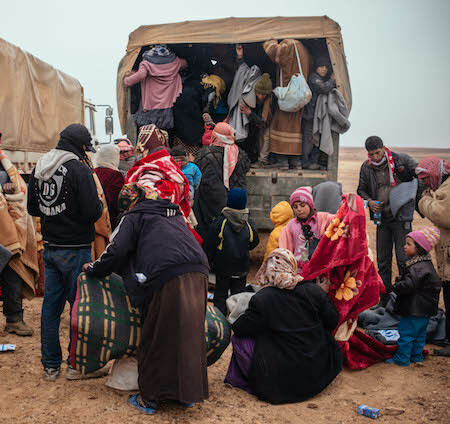 Imagine having to flee your home because of conflict or disaster, and being unable to access things you need to survive, like food, medicine and shelter. Now imagine that those things were available to you, but you just didn’t know how to find them. Services Advisor allows users to filter services by type, location, and proximity. Originally deployed for Syrian refugees in Jordan, Services Advisor is available to refugees in Arabic as well as English. Data is updated weekly by humanitarian service providers on the ground, so that users can be sure they are accessing the most accurate and up to date results. The Services Advisor web app was created by PeaceGeeks in collaboration with the United Nations High Commissioner for Refugees (UNHCR), and is now available in Jordan and Turkey. 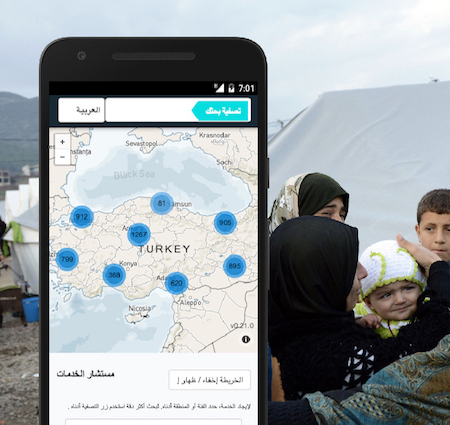 The app is designed to address a common coordination problem in refugee areas, in which essential organizations that provide medicine, food, shelter, and protection, are unable to serve those most in need. Helping the 3+ million refugees in Jordan & Turkey find the help they need. Users search for the specific service they need (e.g. shelter, medicine) and Services Advisor shows them up-to-date information on the location of specific humanitarian service providers. Without much local knowledge or personal resources, refugees can use this app to access all the necessary services available to them. Services Advisor Jordan (jordan.servicesadvisor.org) is our original prototype developed with UNHCR in 2015, and is available in English and Arabic. 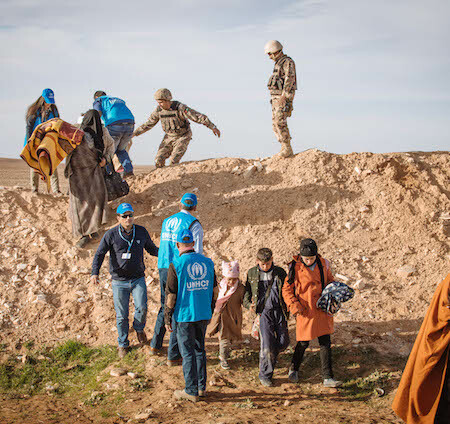 It was developed in response to a request by UNHCR to assist Syrian refugees living in Jordan to locate the offices of humanitarian service providers. Services Advisor Turkey (turkey.servicesadvisor.org) is available in Arabic, English, Kurdish, Pashto, Farsi and Turkish. It hosts nearly 6,000 humanitarian and government service records. Following its official launch in November 2017, the platform reached 70,000+ unique new users and 125,000+ unique new clicks by the end of 2017. These are some of the features available in Services Advisor 1.0. We aim to expand Services Advisor's functionality following the development of Arrival Advisor and the Signpost project, as well as based on consultations with refugees, service providers, and UNHCR. You can help us improve the Services Advisor project.